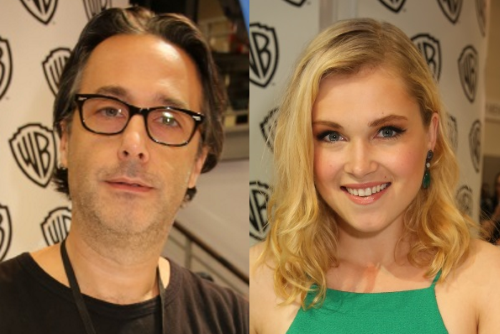 At San Diego Comic-Con, I attended The 100 press room and go some insight into The 100 Season 3 from Executive Producer Jason Rothenberg and Eliza Taylor (Clarke). Rothenberg reminded us that "They are all Grounders now technically." He delved into the expanding mythology and how the conflict between the different factions will grow. The AI story with ALIE will also be a big part of The 100 Season 3. Check out the full interview with Rothenberg at BuddyTV. After refusing to enter Camp Jaha, Clarke's journey was not an easy one. Taylor teased, "[Clarke]'s going to be losing her mind a little bit." She'll be dealing with what she did at Mount Weather alone away from her people. Check out the full interview with Taylor at BuddyTV, including her thoughts on Clarke leaving her friends and family, Lexa's betrayal, ALIE and more! The 100 Season 3 returns in 2016.